This 80s Bum Bag in multi coloured Neon with a zip top is perfect to compliment your 1980s outfit and make you stand out from the crowd! This 80s Bum Bag in multi coloured Neon with a zip top is perfect to compliment your 1980s outfit. 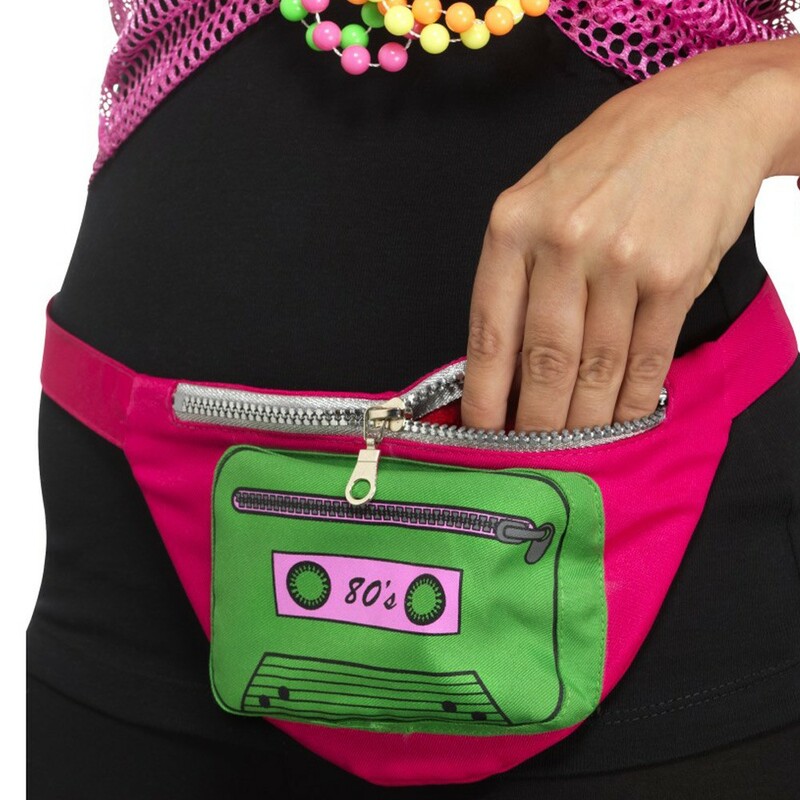 With a classic cassette tape design on the front, this 80s Bum Bag is a perfect alternative to using your pockets or a handbag, so why not go “Hands free” partying with this 80s Bum Bag! This great 80s Bum Bag is the perfect addition to any 1980’s outfit. A neon multi coloured 80s bum bag.